I can understand turning the other cheek (until you run out of cheeks). I can understand walking the second mile and “doing good to those who persecute you.” But to forgive every single time you are hurt, harmed, offended, cheated on, ripped off, mistreated, abused, wrongly accused, verbally assaulted – every time – this is lunacy. Why would Jesus say such a thing? Here is an answer: When we forgive others without limit, we are treating others as God treats the world. God loves and forgives without restraint or limitation. So when Jesus teaches us to forgive without limit, he is calling us to bear the loving image of God in the world. We forgive because that’s what God does. I don’t think profound, God-like forgiveness is something we humans can accomplish on our own or within our own power. I don’t think it is something we conjure up with gritted teeth and by trying harder. No, if forgiveness flows out of us to others, it is because God is doing it and not us ourselves. Certainly forgiveness does not ignore the terrible transgressions committed against us. Unfaithfulness by a spouse, betrayal by a business partner, abuse by parents, mistreatment by a priest or pastor, the drunk driver who harmed or killed our family member: The offense and hurt we feel is legitimate, and we must confess that wrongdoing is indeed, wrong. But rather than responding to these wrongs with the hellfire of revenge or resentment, we respond with compassion and grace; grace that comes from God, grace that we pass on to others. Our only responsibility in this process is to be a conduit, a passage through which God’s love can flow; and the better we understand God’s love, the more that love will spill out to others. 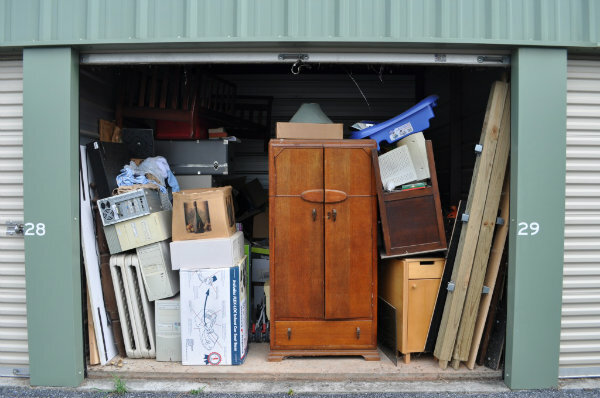 Storage units that have been abandoned or defaulted upon by the renters are opened, and bidders show up to bid competitively for the contents of the unit. An anonymous man in San Jose bought the contents of a storage unit from Dan and Laura Dotson, the hosts of “Storage Wars,” for $1,100. Inside the unit were nearly 2,000 gold and silver Spanish coins – literally a pirate’s treasure trove – worth more than $500,000. Forgiveness, I suppose, works like that: We begin sorting through the baggage and the storage units of our life. We start unpacking all our pain and injustice, rummaging through it while betting and hoping for something. As we busily sort, shuffle, and restack the cardboard and Rubbermaid boxes of our past hurts, lo and behold, we stumble across a treasure. Simply, there it is, and it has been there all along, right in the midst of all our rubbish: The unexpected, glorious discovery of God’s unlimited grace. He really loves us. He loves us so much, that his love is enough to forgive those who have hurt us. His forgiveness is so invaluable that no matter what life has cost us, it will pay the price, and then some. It is this discovery of forgiveness that can change us, and can change the world. If we don’t believe that, if we do not believe that forgiveness can change the world, and give the world a future, then as clearly as I know how to say it, we do not believe the gospel. Forgiveness has given us a future – it can do the same for everyone else. Everybody should discover the forgiveness in order to find internal peace! Great post! Respect!